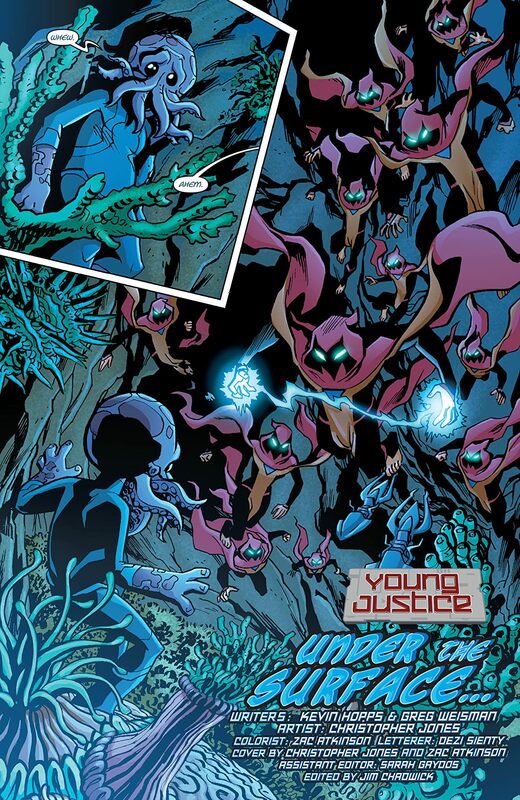 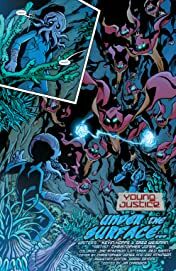 Based on the highly anticipated, all-new hit animated show from Warner Bros. airing on Cartoon Network, YOUNG JUSTICE collects single-issue, all-ages appropriate stories featuring the popular characters from the hit Cartoon Network show. 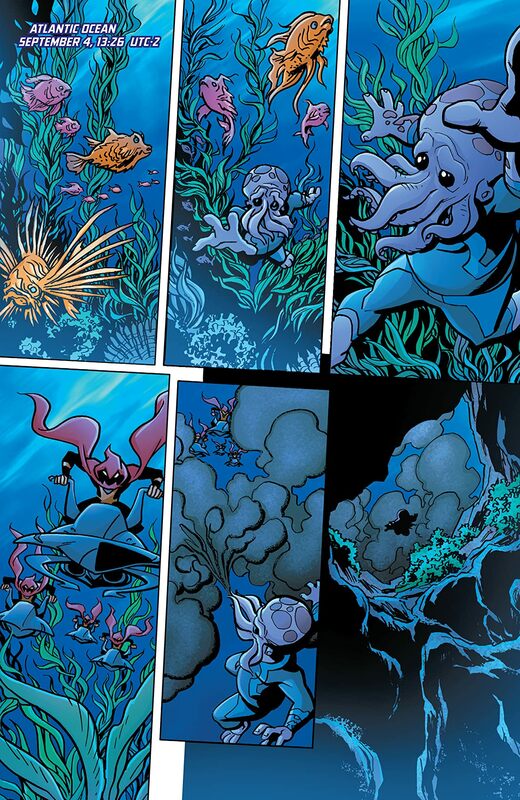 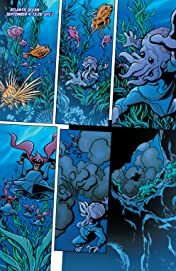 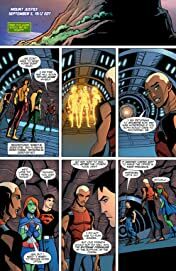 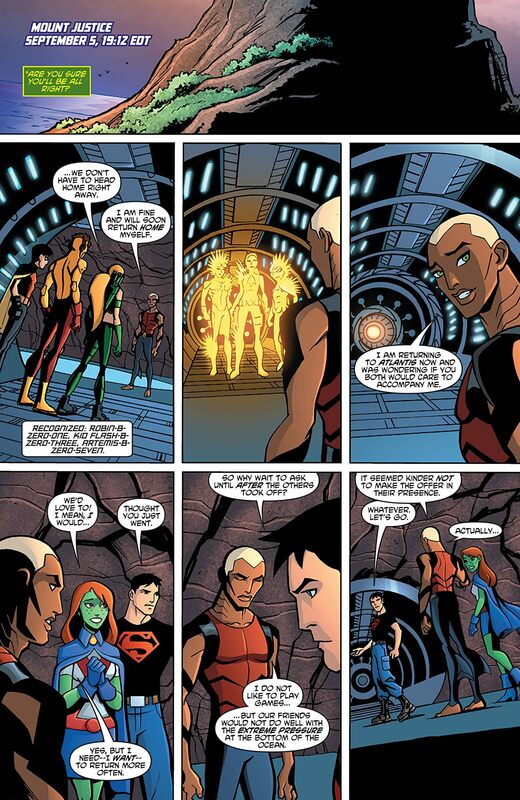 In this volume, Superboy, Robin, Kid Flash, Aqualad, Miss Martian and Artemis make their way to Atlantis to foil Ocean-Master's plan to purify the underwater city. 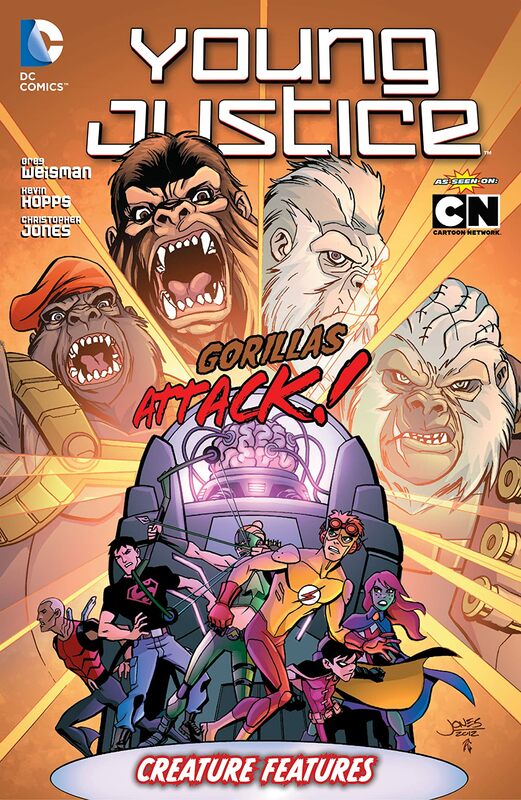 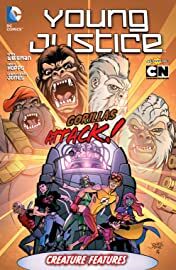 Also, the team must fight off the menance known as Kobra, as well as defeat an army of warrior gorillas in the dangerous Gorilla City!